The year is 1953, it's July and it's hot in New York City. Especially in your third-floor walk-up aprtment in a Harlem brownstone at 129th and Fifth Avenue. Too hot to even hang out on the stoop. 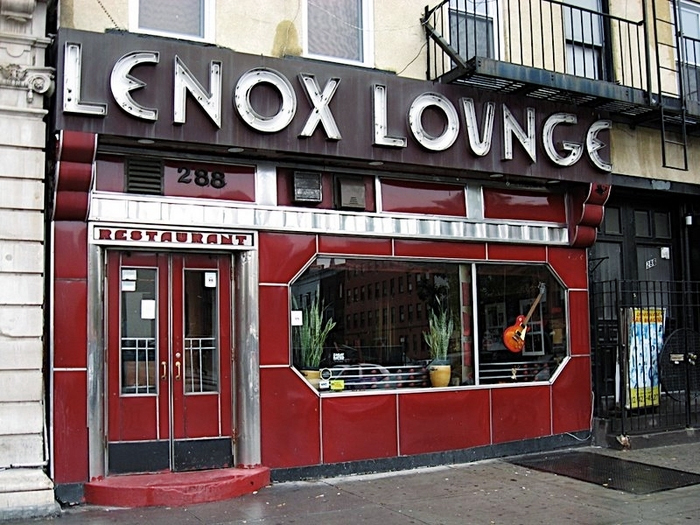 So you stroll four blocks down to 125 and slide into the Lenox Lounge around the corner. 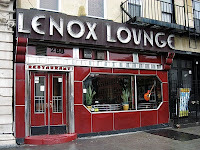 They've got air-conditioning, cold beer and, best of all, a hot jukebox. The sides aren't the latest, and they're a little worse for wear – especially the hits – but each one jumps more than the last. You drop a nickle in the slot, punch up A-12, and straddle a stool at the bar as the opening chords to "Robbin's Nest" fill the room. That feels better! 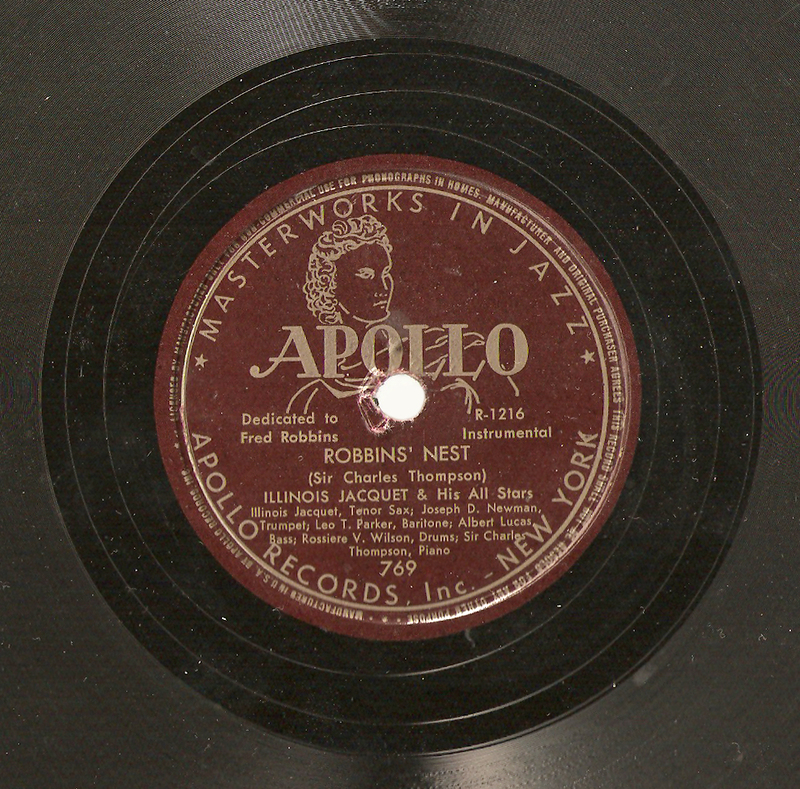 I've been collecting 78 rpm records since about 1970, and sometimes I like to think of them in context. Like the scenario above. 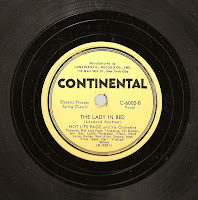 Perhaps one or two of these sides actually was in a jukebox in a joint in Harlem, or on South Central, or Cottage Groove and Indiana. So, since the warm months are coming up, I thought it might be nice to assemble a set of lounge-type sides for your summer listening. 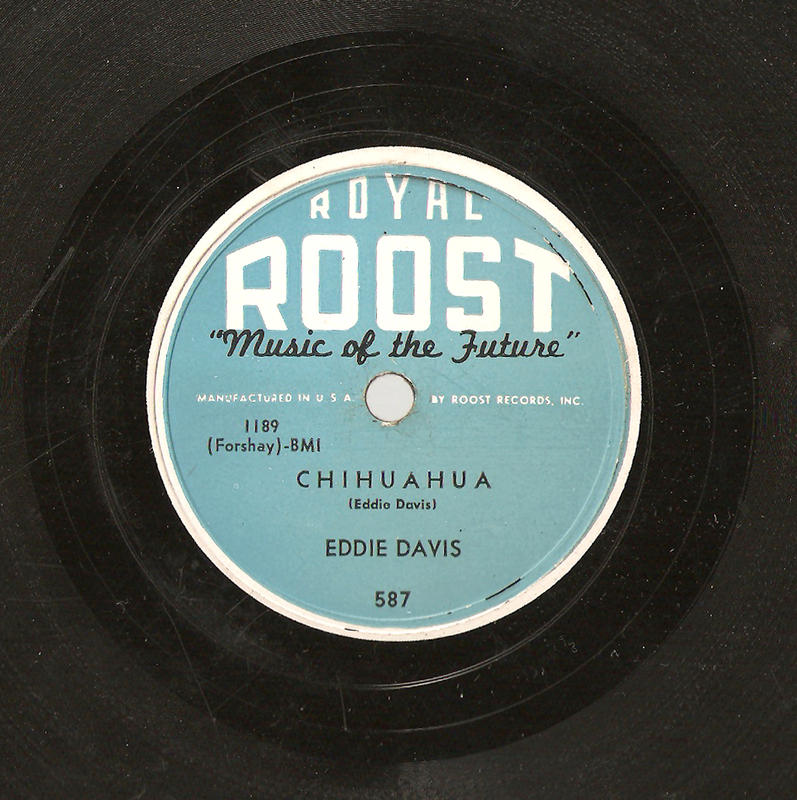 Each tune features a tenor player – though not always as the leader. 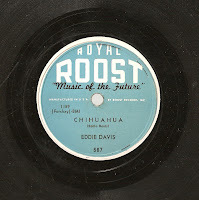 They all come from the decade 1944 to 1953, so they mostly qualify as bop-inflected jump blues, precursors to rock 'n' roll. 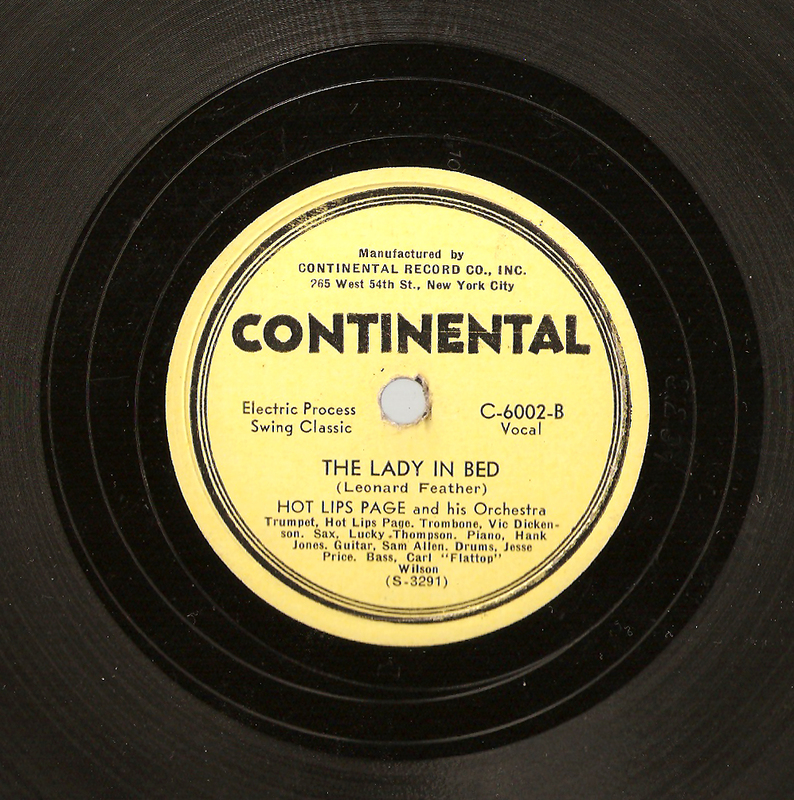 There are some stellar moments, like Lucky Thompson's accompaniment to Lips Page's vocalizing and Georgie Auld's soprano work on "Heaven." And then there's 26-year-old Billy Taylor comping with an organ player while John Hardee takes a chorus – unusual to say the least! 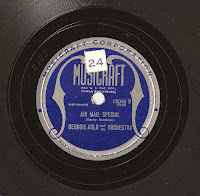 Some of these recordings are available elsewhere, but most are not. 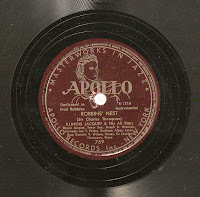 You can find the McVeas and Jacquets if you look, but the Ben Webster sides (actually a Tony Scott date) are real rarities (they feature Sarah Vaughan and Dizzy Gillespie). 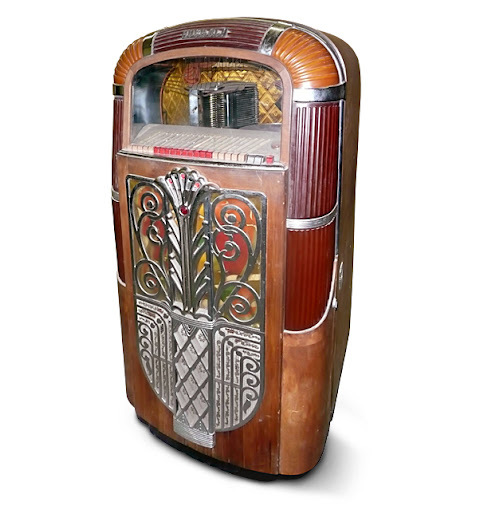 So you may decide this jukebox set is worth your downloading efforts. When the temperature hits 90 degrees, they may be just hot enough to cool things down. As always, these tunes have been ripped from the original discs with only a bit of sound cleaning. Be forewarned that there is some surface noise. 13. Gee, Baby, Ain’t I Good to You? 23. My Business Is C.O.D. 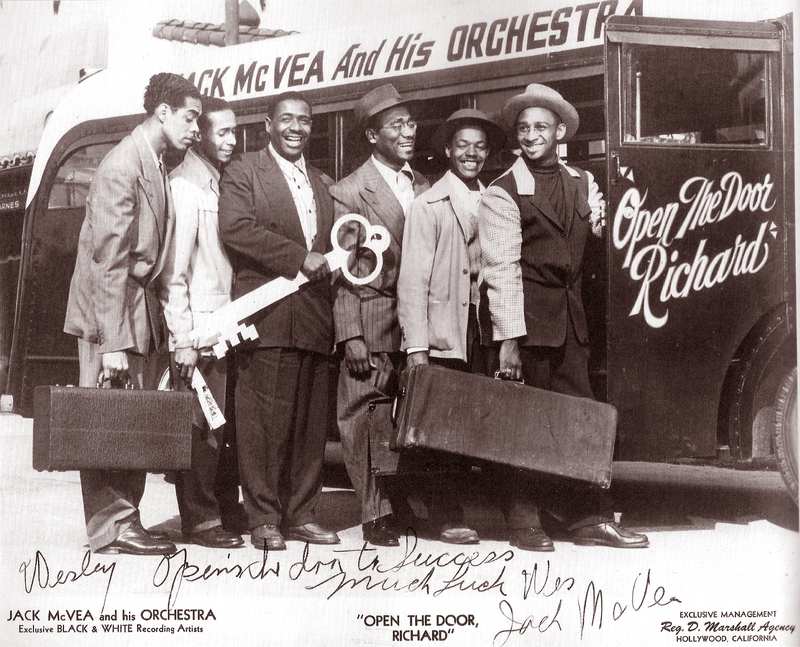 Jack McVea and his jumping band, including drummer Rabon Tarrant (next to Jack who is opening the bus door), about to embark on a tour to promote their Black & White hit, "Open the Door Richard." Photo from "Harlem of the West: Fillmore Jazz Era"